Dialogues In Koramangala is a cafe that lets you eat as much as you want but you don't need to pay a penny for it. You must be confused right? Basically, you need to pay for the time you spend at this cafe. They have awesome hourly, daily and monthly plans on offer. I wish there were more desserts on their menu. They should also include coffee and soon! If you're a freelancer and want to work in a vibrant environment, Dialogues is just perfect. They also offer free wifi. There are a whole lot of books that would attract all the bookworms. There are plenty of board games as well. Then there are various events happening over the weekend, so check them out before you drop in. 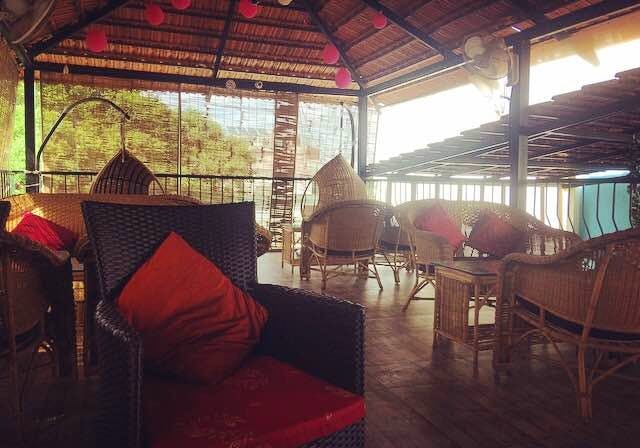 If you want to sit back and unwind, this rooftop cafe is ideal for it. They recently opened up a branch in JP Nagar as well, so now you don't have any excuses to not visit them.